Why Trudeau's “I’m not Harper” strategy may not work in 2019. During his 2015 campaign, Justin Trudeau often compared how opposite he was to former Conservative Prime Minister, Stephen Harper. It worked well, as the result was him and the Liberals winning a majority government. Is this strategy going to help Trudeau in the upcoming federal election, or does he need to change his game plan? New data suggests the latter. 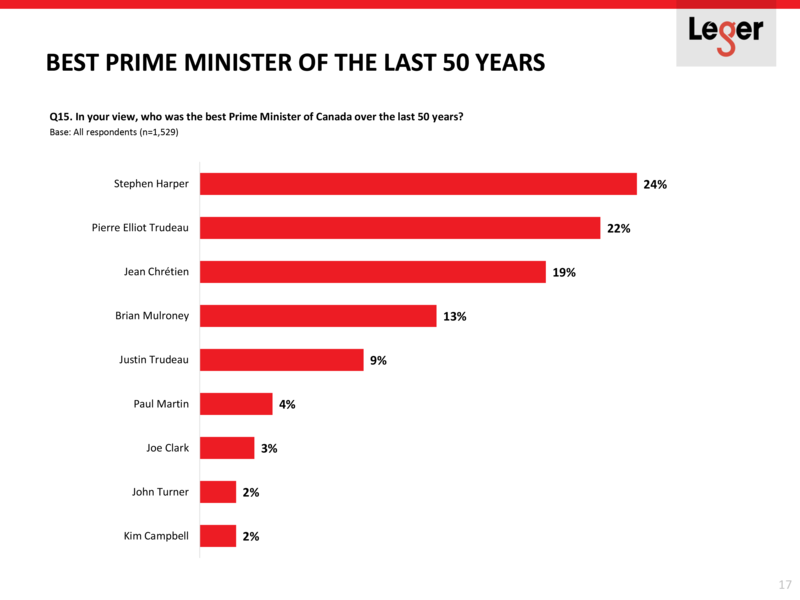 Leger poll from January, 2019 ranking the best Prime Ministers of the last 50 years. 1529 people participated in this poll. 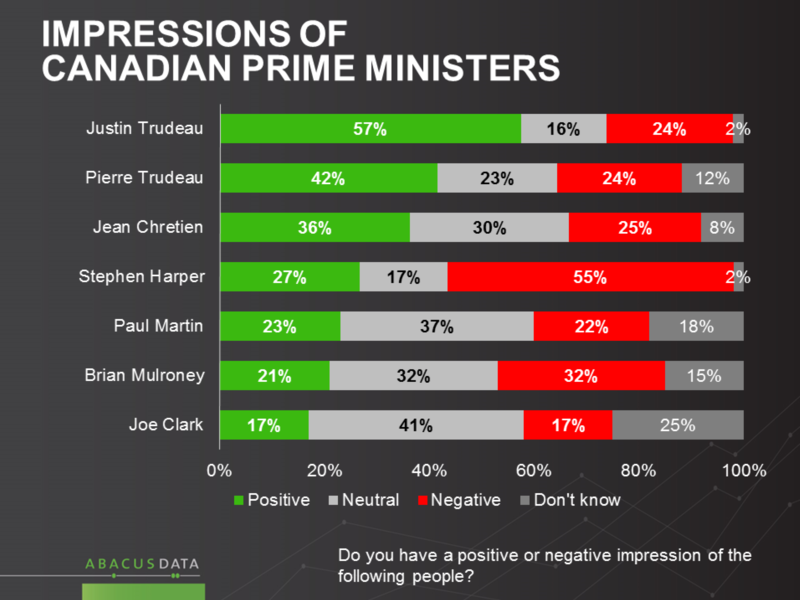 Abacus poll from January, 2016 shows the impressions surveyed Canadians had of Canadian Prime Ministers. 1500 people participated in this poll.